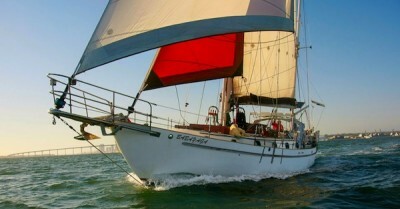 elcome to Sail Away San Diego where we specialize in sailing you on the edge of a classic Pacific sunset. 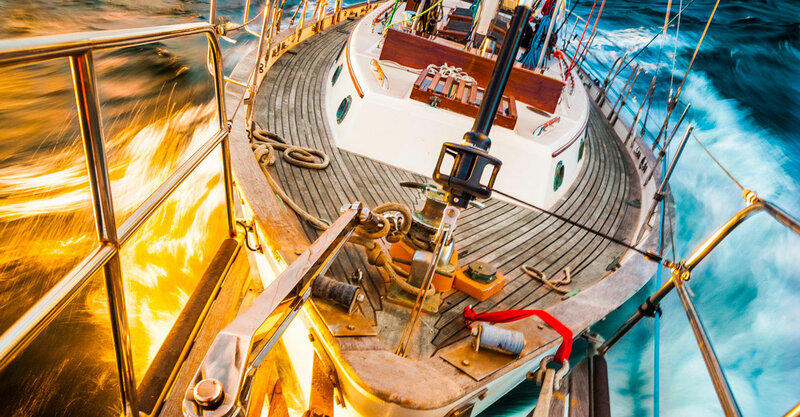 Sail in absolute unmatched nautical style that compliments San Diego’s rich marine history. Unequivocally, all trips are private. 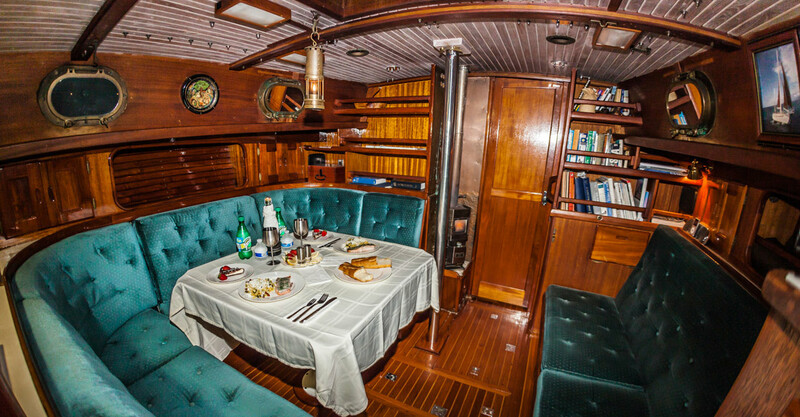 We provide champagne on each charter. Non-alcoholic beverages also available. 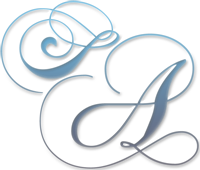 We take great pride in our craft that provides a unmatched ambiance where family, friends and yes, all you hopeless romantics out there can sail away into what is so often referred to as… The Dream. We are sincerely grateful to be a part of something so profoundly positive in nature that we just look forward to the next sail. Hope to see you sailing San Diego Bay with us. 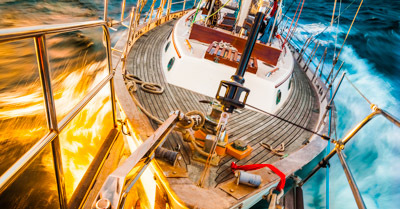 Sail Away San Diego is a family owned and operated business that would like to thank all the folks out there that make our business possible. I had an amazing experience booking a proposal cruise with Sail Away San Diego. Robert was very helpful in helping me set up the whole thing. I was able to enjoy an awesome cruise in the bay with my fiancee, especially with the nice breeze and setting sun. Robert did well to give us our privacy, but also provided us with a good conversation when we wanted. Then came the proposal with the pictures, which went smoothly and looked great. 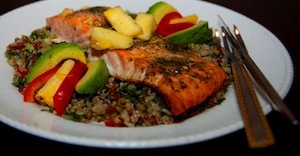 Dinner was also well-prepared and everything was perfect! I never felt rushed or intruded upon. I highly recommend working with Robert for all your cruising needs in San Diego! Great experience. That's is the best way do make a proposal - very romantic and beautiful. Champagne, romantic music, sunset, beautiful yacht - no chance she will say "No". It is affordable as well. After 3 hours of sailing we were very surprised to get a free ride to our hotel - that's how good Robert treat his clients. Be sure he is the best! Sailaway San Diego provided us the best food and the best experience we could possibly have for an anniversary. The champagne was awesome, the salmon was perfectly cooked, and not to mention, the weather was perfect for such an occasion. I strongly recommend the photo service because the pictures he took for us were definitely better than the ones I signed up for. 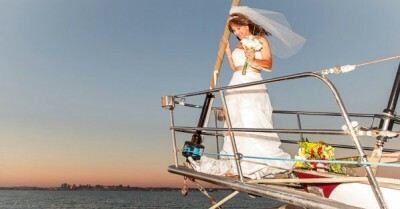 I strongly recommend Sail Away San Diego for a place to go for a romantic occasion. Thanks alot Robert! Our experience on Sail Away was Fantastic! We both truly enjoyed the experience and felt like we really had our own special moment to start this new journey in our lifetime. Captain Robert was very helpful and funny. He knew exactly where to take the photos and how to customize the proposal. 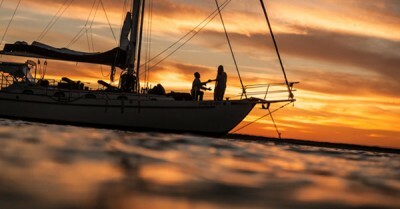 We highly recommend Sail Away SD to the people out there thinking of something on their own with great sunsets and views around our beautiful city here in SD! To read more reviews visit our Google Plus page. Hi, we are Robert and Katerina Svoboda and we want to take you sailing. 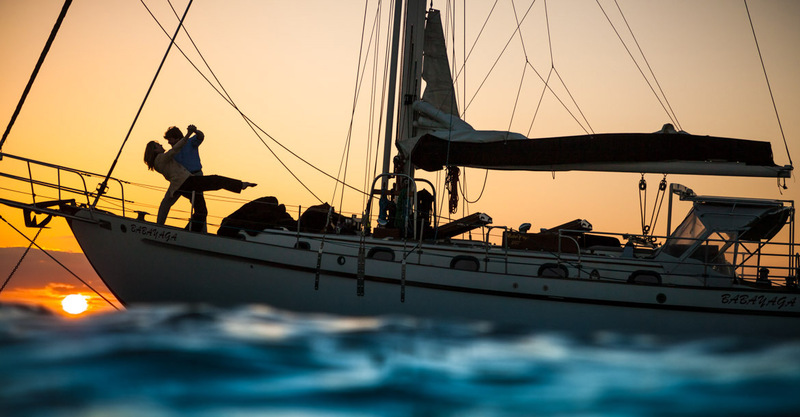 Let us tell you a little about ourselves before you decide to sail of the edge of the world with us.On one dark San Diego night many tides ago in a cliché drinking establishment Robert and Katerina met and started to fascinate each other. 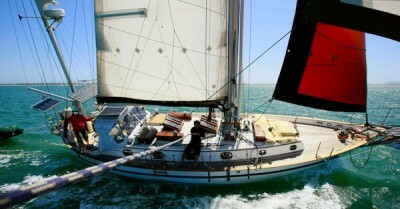 We fell in love shortly after and started our lustful affair with sailing. 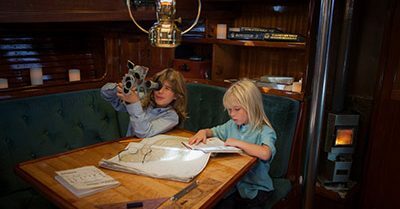 We have been sailing with aggressive passion for the past 14 years. Our original idea is to circumnavigate one day. After our two children grow up and support us. Just kidding. Plenty of time for that later, now we are so focused on providing for our children and elaborating on our pleasurable business. The funny thing is… That we sat out to see the world and the world came to us. We marvel at travelers from all over the USA, Canada, China, Mexico, Arabia, Europe and Japan, all of them chasing the sunset just like us. 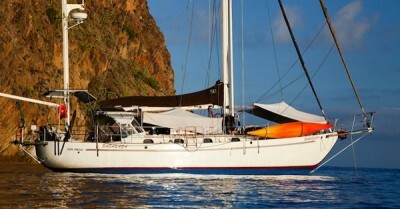 We have been professionally sailing people into the sunset, Catalina and Mexico for the past 10 years. We both are United State Coast Guard licensed 50-gross ton captains and have extensive experience in the southern Californian waters stretching from the northern Channel Island to the Los Coronado Islands (Mexico). 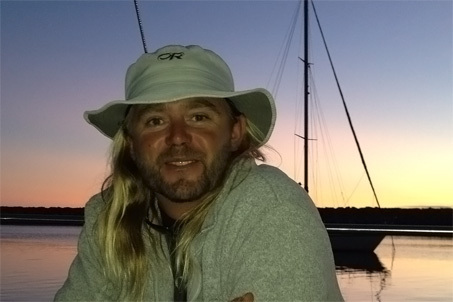 Robert is 40 and is in great physical shape and capable of single handing vessel under high wind conditions. He is also extremely capable swimmer/diver. He has 15 years of intensive sailing experience. Katerina is 39, extremely smart and sensible and the best navigator a husband can have. Not to mention her European heritage making her extremely experimental in the galley and that’s one way into a man’s heart. ©2019 Sail Sail Away San Diego. All rights reserved. · Web Design by Sail Away Studios.